Anyone else feeling a lot like Christmas?! I definitely am... Workshop prep, Xmas Crafternoons and markets everywhere. 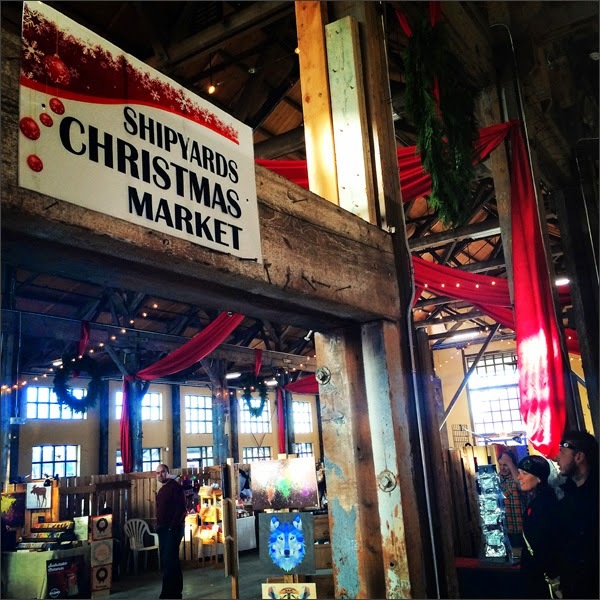 There's a kewl new market in town - the Shipyards Christmas Market at the foot of Lonsdale. The new happening hub of the North Shore. 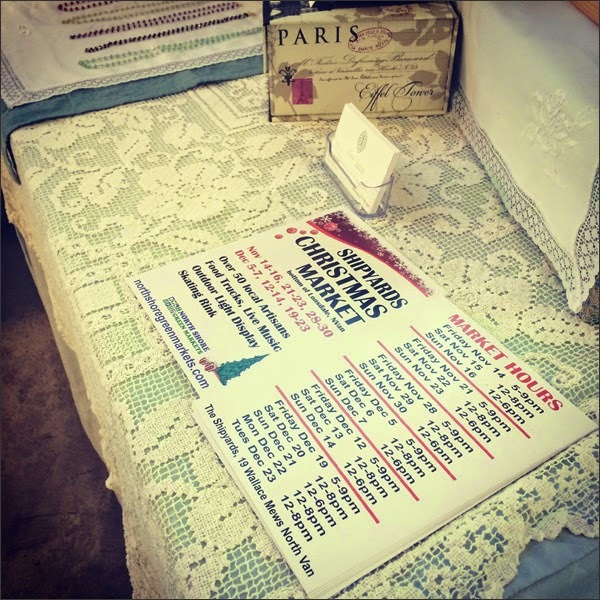 I've dropped by a couple of times for work and to visit with crafty friends. It costs $2 for one entry or $5 for unlimited entries. It's in the old Pipe Shop in Shipbuilders' Square. 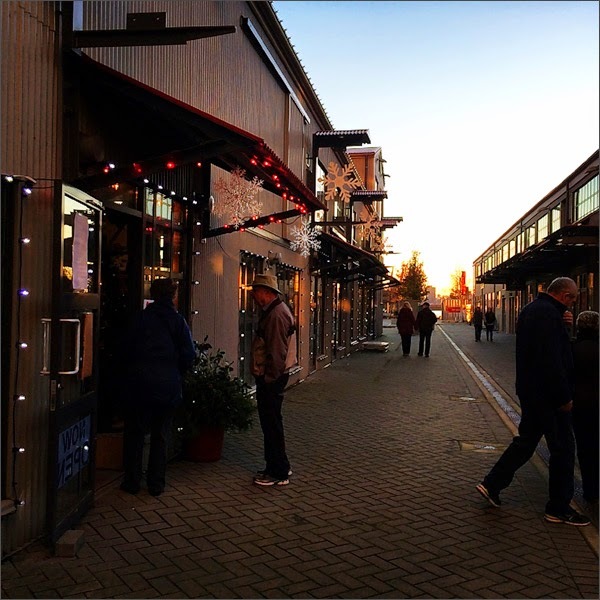 It's an amazing space filled with food, handmade gifties and at times live music. 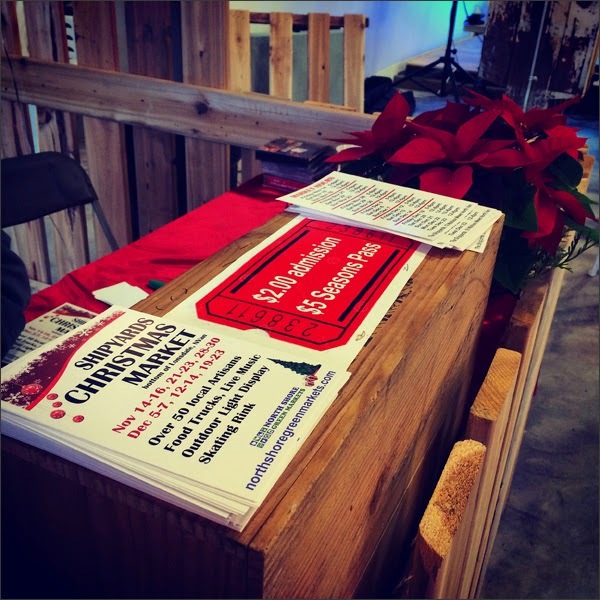 The market is open Fridays, Saturdays and Sundays until December 23rd. I love my hood! And there's the annual Christmas Festival on December 6th. This is when the tree is lit and there's carol ships, a skating rink, sing-a-longs, crafts and more. Details at www.cnv.org. 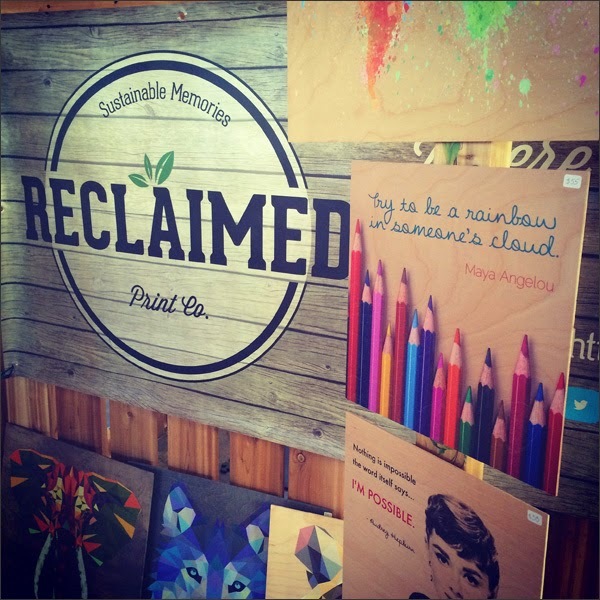 And be sure to visit a few of my crafty peeps - Reclaimed Print Co, The Hive Printing and Duane Murrin. Finally I have some exciting news other than Crafternoons... I'm going to be a contributor for LowerLonsdale.ca. 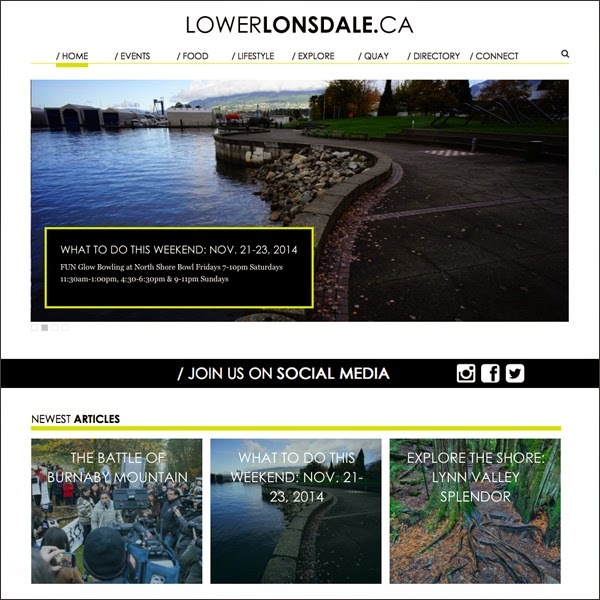 It's a recently launched website focusing on news and happenings in Lower Lonsdale. I'm all about community and connecting people - it'll be fun to share info about what's happening in my neighbourhood and maybe feature local people and places. Can't wait!